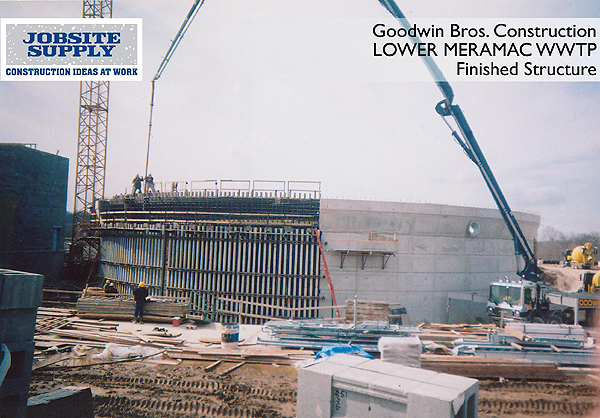 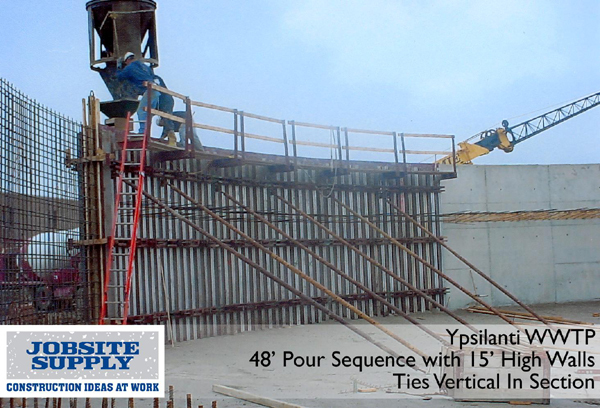 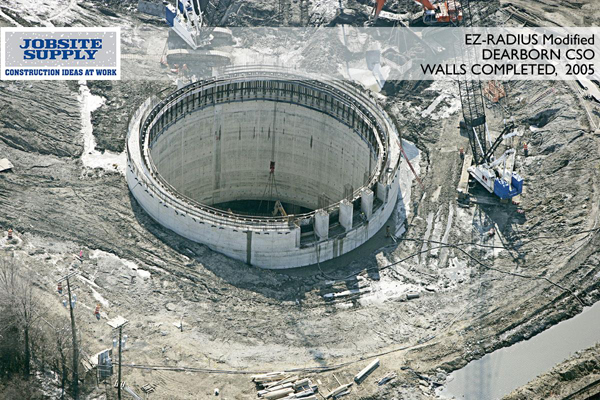 Jobsite Supply specializes in forms for tanks and curved walls. 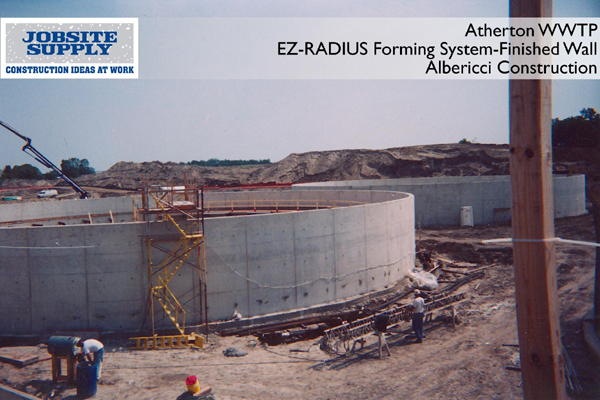 Our EZ-Radius™ system is designed specifically for these types of projects. 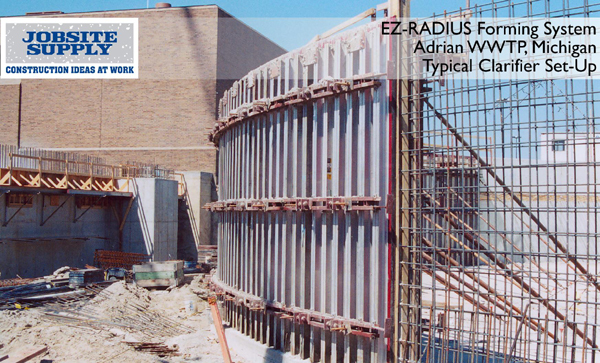 Our fabrication process for assembling EZ-Radius™ panels creates a truer arc for virtually any desired radius.